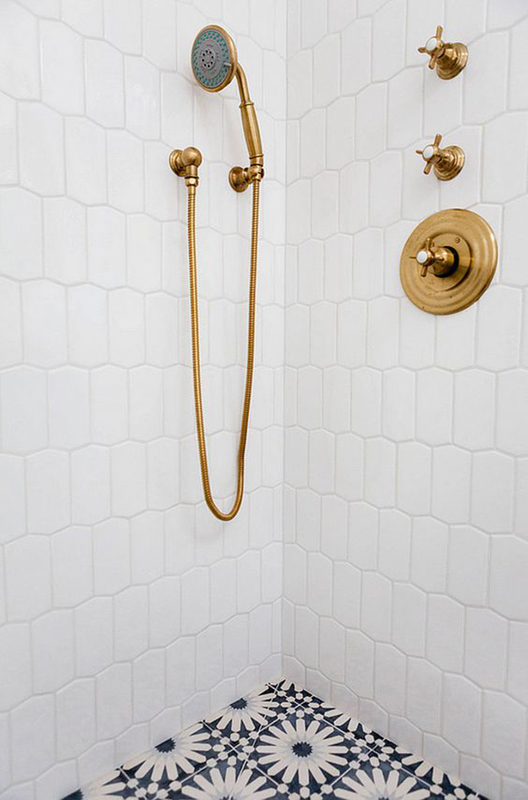 I have been knee deep in bathroom topics lately in order to get everything we need for our basement bathroom remodel. I never understood the amount of detailed decisions that go into finishing a basement. Let me tell you, I was about ready to draw decisions out of a hat by the end because my brain was bananas! However, I am so looking forward to having the extra space soon. We bought the house taking the basement space into consideration (we need the extra bedroom! ), so one year later and we are very close to having it finished! 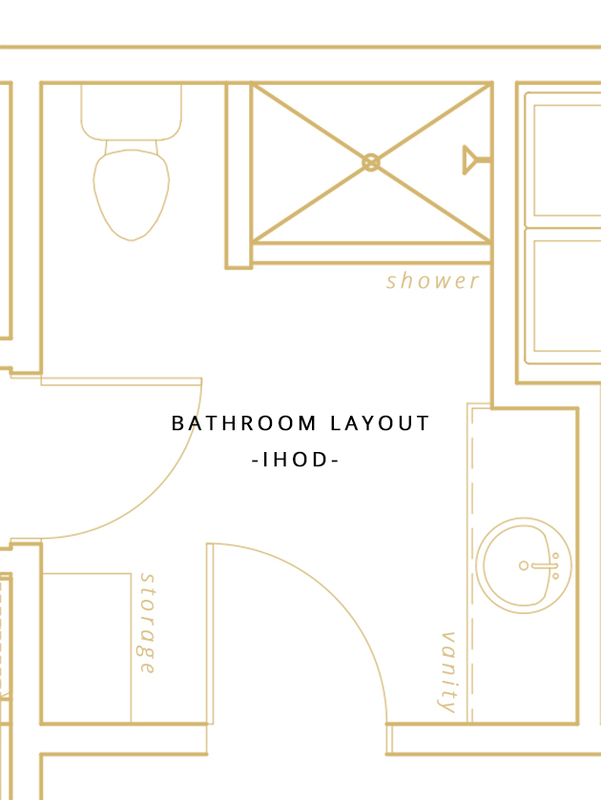 I thought it would be helpful to share the process, our bathroom layout, and design board with you and hopefully save you some time if you are in the same boat! As I mentioned with our boys room design, my mother-in-law Genevieve is a wealth of knowledge and wisdom on all things architectural design, so it has been so cool to work with her to make the process smoother. She knows so much about materials, what to avoid, what works well, how to communicate with contractors, etc. She created this layout based off of my visual + practical goals for the space, and I cannot wait to see it come together. We are so excited to be able to partner with Kohler for this space. We have used their products for several years, so am so thrilled to integrate their products into this space since they are known for prime quality and a myriad of options for bathroom supply. I found some fantastic options to work with. 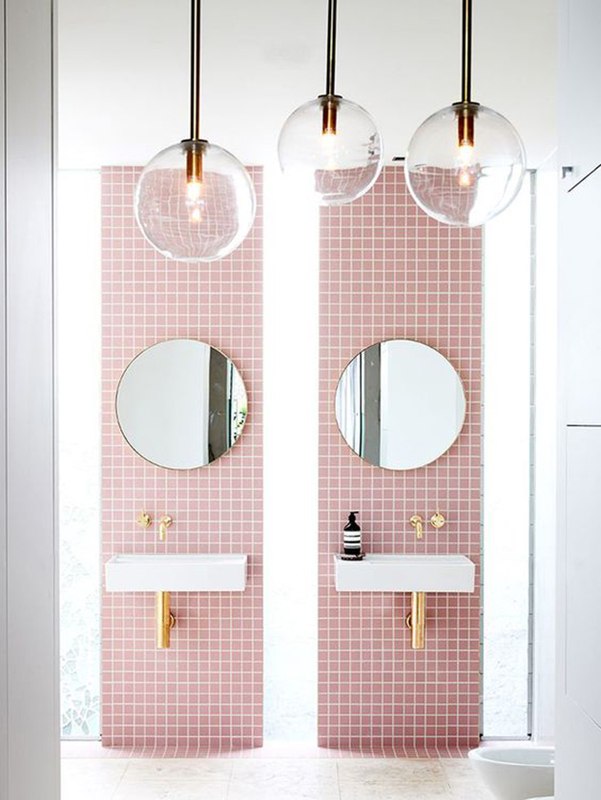 Just about everything in this design board can be found on their site, except the sconces (Bellacor) and mirrors (old from Anthro so looking for similar options!). Tile: We are debating a few different options right now, but really love the star and cross pattern for the walls from Fireclay Tile, as well as this custom Starburst option in Jade. Since the bathroom won’t have any natural light, I am avoiding colors that are too dark. 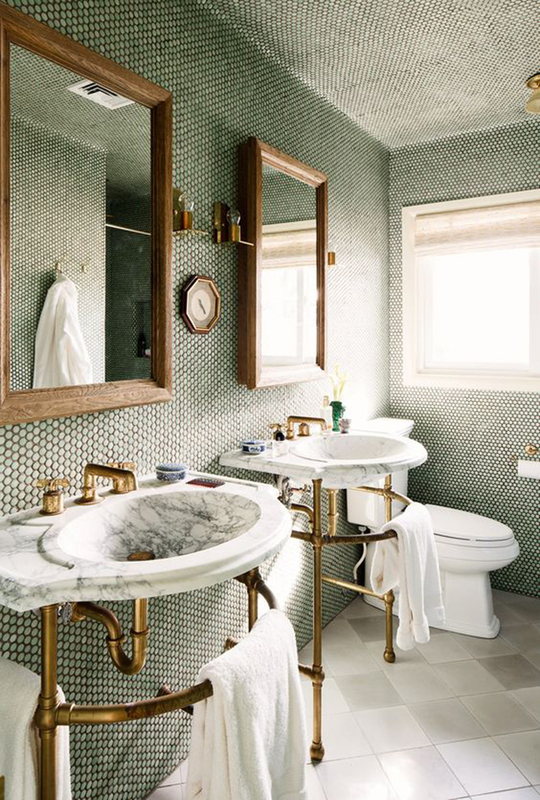 These were a few bathroom designs that I pulled some element of color or design from when working on this space. I never thought I’d enjoy researching bathrooms so much. It might become an odd hobby. This bathroom will be connected to the boys’ room as well as my office. We are hoping to have this space complete within the next month. Knock on wood. 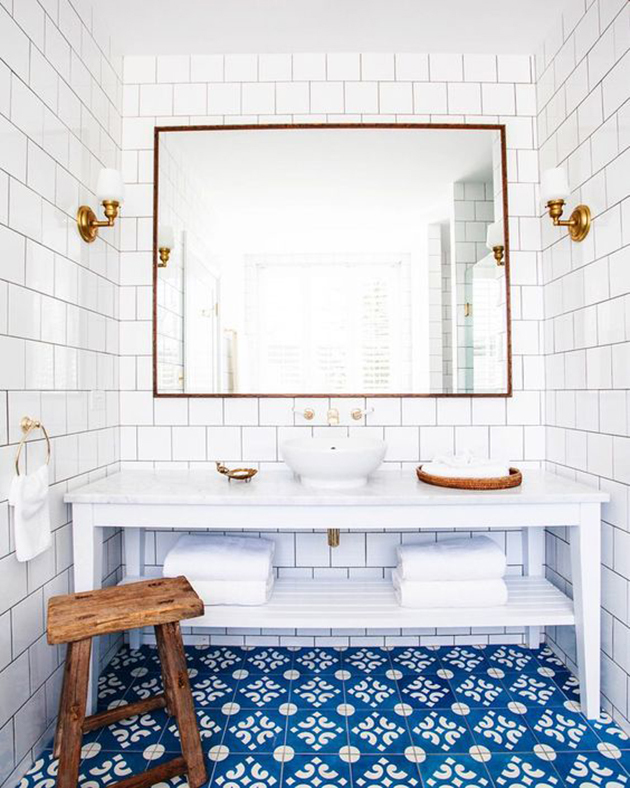 In the meantime, I have a whole other post dedicated to tile (admitted textile junkie here), and what we ended up selecting, so check back soon! *Thank you to Kohler for partnering with us for this space! Lovely inspiration board! It’s going to look great! I can’t wait for the entire space to come together! It’s going to look amazing! You are my shining hero right now! We are currently finishing our basement (mostly on our own) into a master bedroom, bathroom, and office. Yay! I will now be stalking your progress  Thanks for posting!